we're totally going to clean this stuff up." These days, my children can most often be found playing Legos. Sometimes they even do it without fighting. They make all sorts of crazy contraptions, which means that after they've constructed a set the "right" way once, they rarely ever again use the pieces the way the (I'm assuming) highly paid Lego Designers intended. That's fine by me - they're using their imaginations, and as far as I'm concerned that's far more important than learning how to follow the directions in those dumb picture-based instruction booklets. I'm not even sure following instructions like those counts as a skill. Unless you happen to have trouble with those. In that case I take it back; I meant no offense. I will, however, suggest that you never buy furniture from IKEA. Sometimes I wonder, though, if the Legos themselves would feel the same way. I mean, of course, if Legos could think stuff and feel things and write poetry. The reason I'm bringing this up is that it's time for Mama Kat's Writer's Workshop, and I'm responding to the prompt, "Write a poem from the perspective of your child's favorite toy." by kids who will build them - then touch them no more. But we're taken home, the box ripped apart. Just once the directions are taken to heart. And that's when the trouble usually starts. but the children want a snowmobile instead. just wait til these little jerks trot off to bed. and the totem pole made out of beheaded guys. Their haphazard building is making me tense! Turbo boat on wheels? It doesn't make sense! Fellow Legos - picked to bits and thrown in a tub? We'll show them! Let's all go hide in the rug! We'll puncture their feet - it's our only defense. before the kids' RV with wings and a gun turret comes for me. If children's toys COULD talk. they'd probably complain that they're bored & there's nothing to do!! Coming at ya from Mama Kat's... the Legos currently being held hostage under my son's bed... well they have been there for a while... I mean he is 16... well, nearly 17... but they did come out of incarceration for some recreational time when my 5 yo nephew came over the other afternoon... and the ones that were not lost, or eaten by the dog... were probably begging to be returned to solitary confinement when it was time to clean up and send everyone home. I bet YOU were ready to crawl under the bed and hide, too! "We'll puncture their feet - it's our only defense". I have stepped on a nail and still think Legos hurt worse! Hahahahahaha! I mean, I'm sorry that happened to you. But also hahahahaha! My kid must be in the minority. He loves following the directions and building and rebuilding and rebuilding whatever the intended vehicle or structure is. He's only 4 so I always have to help him but the majority of my help is me sifting through thousands of lego pieces looking for that tiny one square clear piece he needs for a headlight. This is why daddy drinks. I can't believe how timy they make some of those pieces. Plus, now they'll not only be tiny but you'll have to find the one piece that's slightly curved on one side and bends and has the little hook for the tiny oil can to snap into. That's one reason to appreciate the kids making up their own crazy Franken-Legos - then every piece they find is just what they needed. You're a poet! Love this. But HATE Legos (said while removing one from between my toes). This is art. In more ways than one. Kudos. 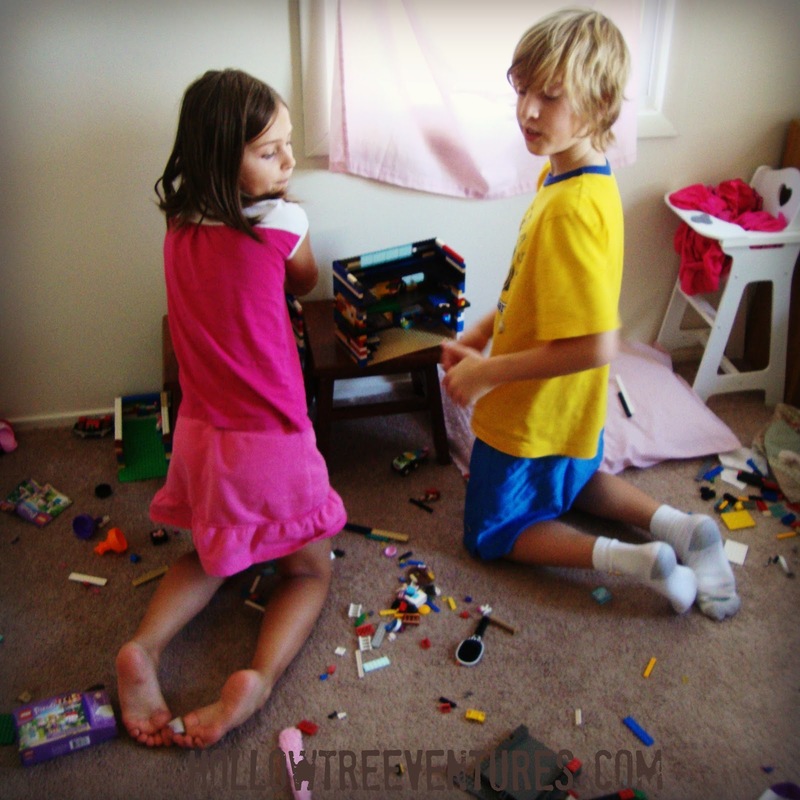 Legos are seriously the most dangerous and sometimes vindictive toys of all! I'm pretty sure this is their war chant. Briliiant! Well, we're on to them now! Which probably just means they'll up their game - I'd better not start finding them in the shower. Lol, love this. I'm glad my kids toys can't talk. I can only imagine. I'm quite sure if legos could talk, they would say just what you wrote! Very creative. Thanks - and thanks for being here! Last night as I was attempting to put a bed from IKEA together in my son's room, I kept stepping on his Legos. Talk about going a bit crazy. I was a little stressed out with my project then to have those bitty bits of plastic in my feet. Ugh. I am with you sista. I think this poem is pure genius, baby! It's not everyone who can make something so seemingly mundane sing so smooooooovely. An aside: I hear that during economic downturns, folks should invest in precious metals and Legos. Seems legit. Thanks, babe! And I agree - investing in Legos does make sense, considering some of those sets cost about as much as the crown jewels. Actually, I heard from a Lego expert that the Deathstar is going to be worth serious cash when they are all gone. It will cost serious cash to buy it, but apparently you'll earn it all back plus ++. Hubs told me this and I still haven't been able to talk him into going for this investment plan. I think it falls into the "possible risk or stuck forever with Deathstar Legos" category and he's more about the "no risk at all, ever" investments. I've seen enough Antiques Roadshow to know that any Deathstar I owned would be the one that would have been worth millions, except for the four missing blocks and the fact that one of the kids got bored one day and peeled all the stickers off. My version: $4.36 at auction. Which is still probably better than my 401k balance, so it might be worth looking in to. It really does keep them occupied, doesn't it? But they are EVERYWHERE!